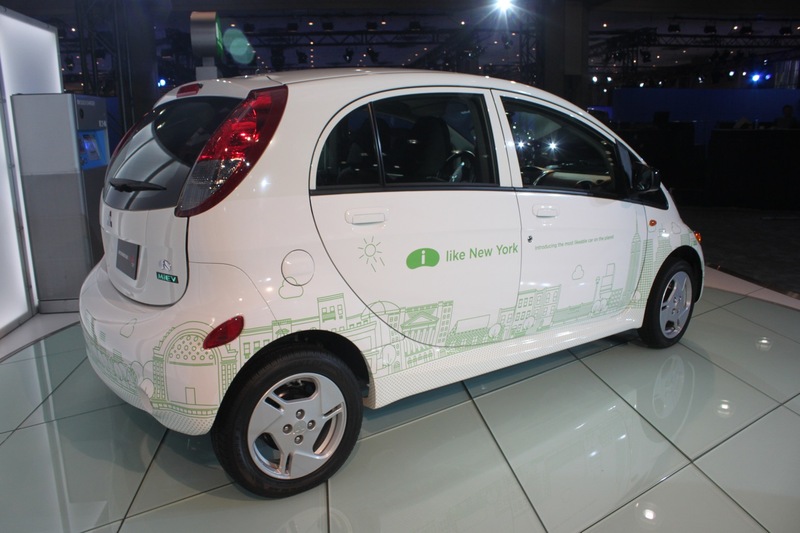 Just like any other motor show around the world, the 2011 New York Auto Show isn’t only for big engined muscle cars or gas guzzling Jeeps. 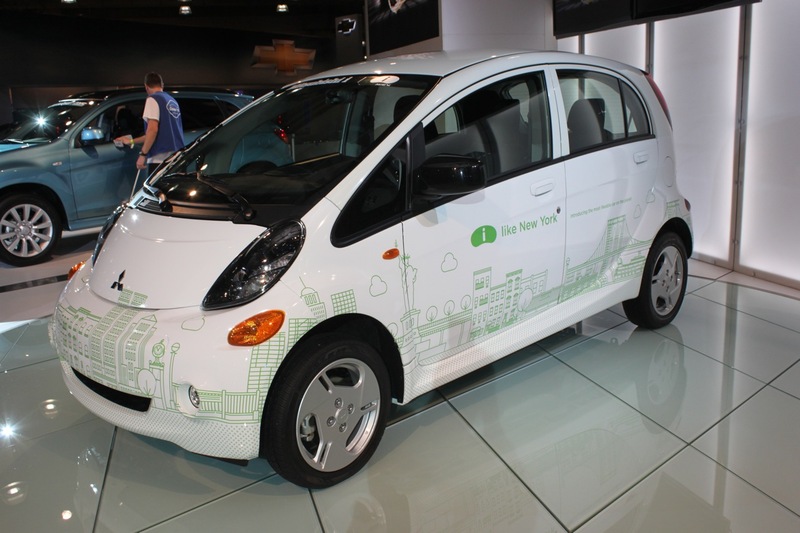 Quite the contrary, not only did we get cars of the people like the 2012 Kia Soul and cars for environmentalists like this treat from Mitsubishi, the i Miev. The Mitsubishi i Miev is far from being a new car in Japan and Europe but this is the first sighting of the showroom version of the U.S. spec car. 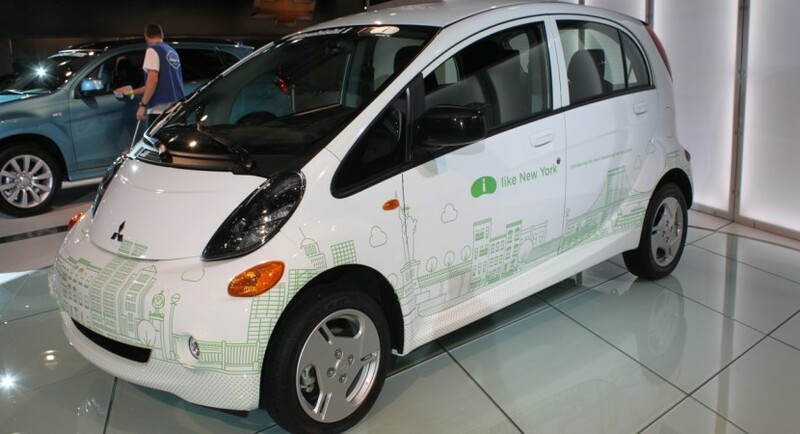 Being a U.S. car only makes it slightly wider than the rest of the Mitsubishi i Miev family as everything else is exactly the same. On the American market the Mitsubishi electric hatchback will be available in three trim levels, the ES , the EX and the SE. $20.490 is what you’ll have to dish out for the entry level car and for that you really get only the basics needed for transportation. If you go for the mid-range model, pricing begins at $22.490 for the EX, but that buys you more car. Stuff like speed-sensitive electric steering, a heated driver seat, electric air-conditioning, keyless entry, an MP3 stereo system and a portable charging system which is probably the biggest life saver. The “posh” SE version gets a better stereo, bigger alloys and an infotainment system that has sat-nav, a reversing camera, inbuilt phone and a hard drive. 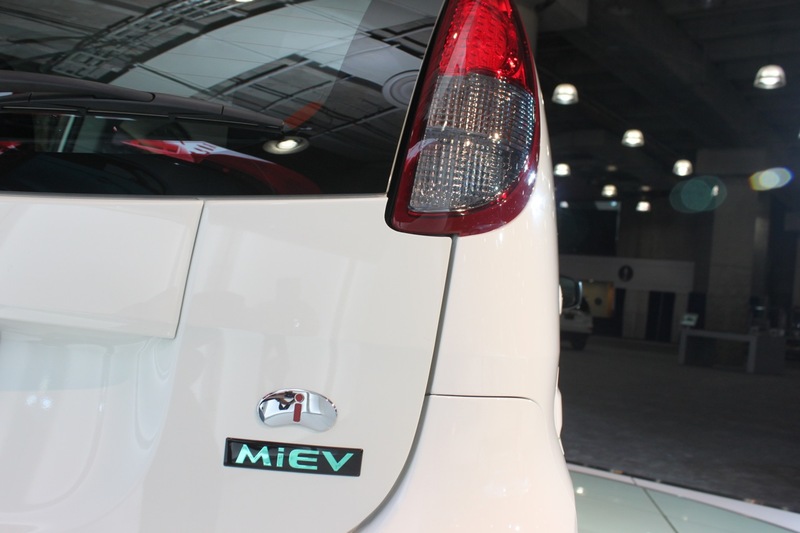 The latter version of the Mitsubishi i Miev sounds pretty interesting but you’ll have to part with at least $23.280 to get one.